As soon as I ran across Mizon Natural Breath Cheese Repair Cream online, my first thought was, “That looks disgusting!” My second thought was, “I must buy it.“ Don’t get me wrong – cheese, in and of itself, doesn’t gross me out in the least. It’s one of my favorite foods. But I’ve never had the urge to slather it on my face. Additionally, why must a product that contains the word “cheese” also contain the word “breath?” Cheese breath is not something I enjoy thinking about, especially when I’m trying to be beautiful. Still, the idea of cheese breath in my skincare was not enough to stop me from immediately ordering this moisturizer. In fact, it was kind of the selling point. I have a very hard time resisting the temptation to try a skincare product that grosses me out a little. My curiosity is driven by a need to know a number of things: Is it effective? Will it smell bad? Will it feel skeevy? Why would someone buy this? Why is someone selling this? Will my face fall off? Will I grow a bushy mustache? Will I achieve everlasting life? It is my search for answers to life’s most compelling mysteries that drove me to this particular purchase. Quark Cheese – Quark cheese is a fresh cheese that seems to be most common in Europe. There appears to be a lot of varieties of it, with textures ranging from that of sour cream to American cottage cheese. Mizon says their cheese extract is abundant in Vitamins A, B1, B2, and E. When I looked for nutritional information, the sources I found confirmed that Quark contains those vitamins, but I’m not sure I would call the amounts “abundant.” It’s possible that Mizon’s extraction process condenses the nutrients in the cheese; but on it’s own, it’s not really bursting with them. Still, they’re there. 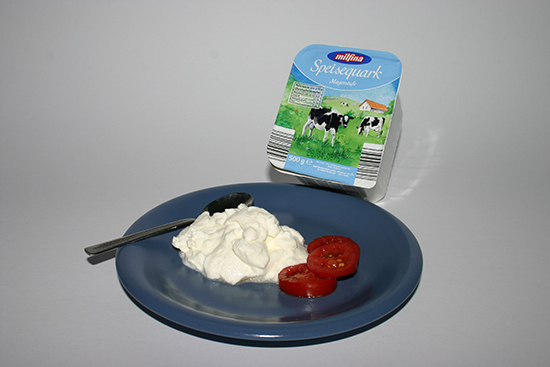 An example of a German variety of Quark cheese. Sodium Hyaluronate – Often referred to as hyaluronic acid, this ingredient is able to hold up to 1,000 times its weight in water. This humectant also does a great job attracting and maintaining water in the skin, and promotes blood circulation and nutrient absorption. Theobroma Cacao (Cocoa) Extract – In addition to being rich in antioxidants, cocoa also contains a constituent called theobromin, which acts as a vasodilator, increasing the blood flow to the skin. Increased blood flow helps prevent dryness and promotes healing. Allantoin – Allantoin is a chemical compound with a number of beneficial skincare properties. It’s an anti-irritant, and increases the water content of the structural support matrix of the skin (the areas between skin cells). It also possesses exfoliating properties. According to COSDNA, it does have a few potential irritants and acne triggers. The biggest red flags were for Cetearyl Alcohol (as usual), which scores a 4 out of 5 as a potential acne trigger and a 3 out of 5 as a potential irritant. Hydrogenated vegetable oil scored a 3 out of 5 as a potential acne trigger, and the pH adjuster Triethanolamine scored a 2 out of 5 as a potential acne trigger, and a 3 out of 5 as a potential irritant. 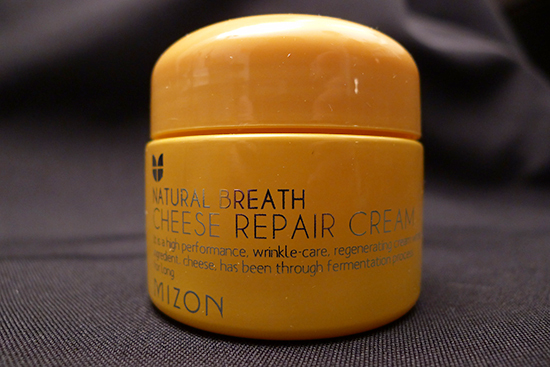 Mizon Natural Breath Cheese Repair Cream is packaged in a sturdy, opaque yellow, glass jar. Mizon touts a special fermentation process that allows the cheese to “breathe,” which is the reason behind the air pockets in this moisturizer. The air pockets are clearly visible and give the cream it’s whipped, airy appearance. Some people have described it as looking like Swiss cheese, but I don’t see the resemblance. Sure, they both have holes, but it’s hard for me to picture Swiss cheese as anything but solid. Mizon says the fermentation is an ongoing process, which continues through the life of the cream. It appears that might be true – when I stopped using the cream, I’d smoothed all the air bubbles out of the surface at that point from dipping my fingers in it. When I opened it again a few months later to write this review, new air pockets had formed. 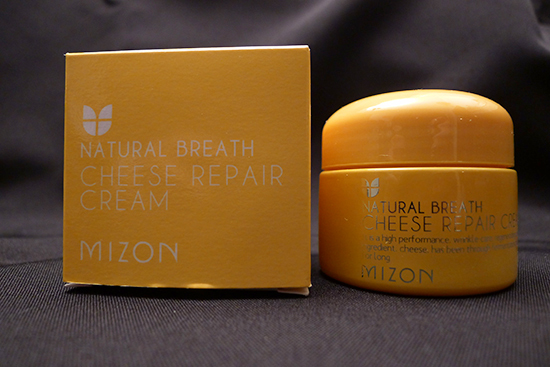 The smell of the Mizon Natural Breath Cheese Repair Cream is one of the aspects I was most curious about when I ordered it. Based on the photos I saw of it, it looked as if it would smell awful – like a runny, skeezy cheese. 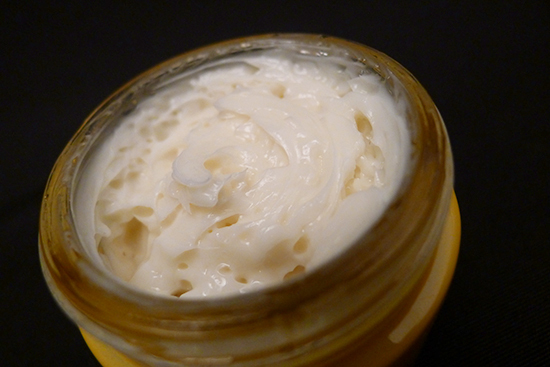 I recently posted a close-up photo of the cream on the S&T Facebook page and took a poll to see what others thought it might smell like based on its appearance, and the answers were pretty interesting. A few people thought it might smell like cheese – more specifically, cream cheese, cottage cheese, or some kind of soft French cheese. There were also a few folks who were imagining something more desirable, like pineapple or vanilla frosting. I think I’d like a facial moisturizer that smells like pineapples, come to think of it. Anyway, here’s what it actually smells like: nothing. Well, almost nothing. It has the faint, bland, nearly indescribable scent of an unfragranced emollient product. I was both relieved and disappointed by this. I applied Mizon Natural Breath Cheese Repair Cream as the last step in my skincare routine in the morning and evening, just after applying my emulsion step (which was typically my own mixture of Benton Aloe Propolis Soothing Gel and one of my favorite facial oils). The texture is fluffy and almost mousse-like – I found the application to be very pleasant. It absorbed quickly and did not have a greasy finish. 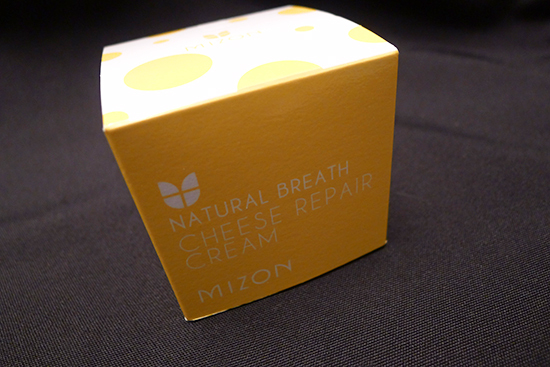 I used this Mizon Natural Breath Cheese Repair Cream for approximately three weeks back in October. I couldn’t complete my usual 28-day testing period for a couple of reasons. The primary reason is that it was aggravating my acne. I had a few new spots pop up in areas where I don’t normally break out, and my lingering on-again-off-again problem areas seemed a little angrier than usual. My skin just didn’t like the formula. The other reason was that I didn’t find this cream to be quite moisturizing enough. It’s definitely a lot more moisturizing than the Mizon All-in-One Snail Repair Cream, but still not as moisturizing as I’d like. To be fair, my skin is very acne-prone. It actually took over a week for me to break out to the point of suspecting foul play, and the breakouts themselves weren’t severe –they were small, flesh-colored bumps and a few tiny whiteheads, as opposed to the cystic nightmare that often happens when a product doesn’t agree with my skin. The breakouts were present enough for me to notice something was happening, but not enough to make me panic. They went away pretty quickly when I stopped using the cream, and when I started again just to see if the Mizon Natural Breath Cheese Repair Cream was the culprit, they came back. As for the moisturizing properties – I actually think this would be a good product for someone with oily skin who is looking for a slightly richer cream to use in the drying months of winter, or even as a night moisturizer in the summer. 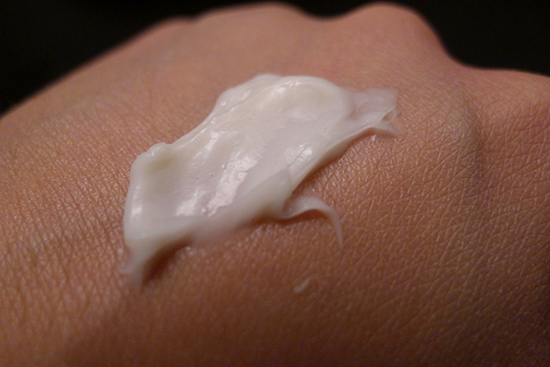 It’s richer than a lot of the moisturizers made for oily skin, but not at all greasy. It absorbs quickly and dries matte. During my three weeks of use, I did not notice any changes in fine lines, skin tone, or the color of my PIH (post-inflammatory hyperpigmentation) marks. I do think it would work well for more oily skin types. It now lives in my queue of products that don’t work well for my face, but will make acceptable moisturizers for my chest and décolleté. I’m still a little disappointed that it doesn’t smell like cheese or pineapples. Performance: 2/5 – I give this moisturizer points for being somewhat moisturizing, and for it’s pleasant, airy texture, but the moisture wasn’t enough for my dry skin type, and the breakouts were a major dealbreaker. Quality: 3/5 – There’s no added fragrance, and there are a few nice ingredients in this formula such as the Adenosine, Allantoin, and the Sodium Hyaluronate – but I am skeptical of the value of the cheese ingredient, which should be the star of the show, and there were quite a few acne triggers and irritants in the formula as well. The packaging is sturdy and attractive, though not the most hygienic option. Value: 4/5 – It’s extremely affordable, and you get a lot of product for the price – but I knocked off a point because I’m not sure how much that means for a product that gave me such a mediocre performance. I bought my Mizon Natural Breath Cheese Repair Cream from an eBay seller that no longer carries it, but it can still be found for $15 at W2Beauty.com. You can get a $5 W2Beauty voucher by entering my sponsor code at sign-up: 025605. Cheese cream without the cheese stank? I’m disappointed. Speaking of pineapple-scented things – I think Alba makes a pineapple cleanser, but I’m not sure if it would play well with your skin type. I just looked up that Alba cleanser, and I’m def gonna pick that up! It doesn’t contain any harsh detergents that I can see, and it has aloe in it. And it smells like pineapple? If it wasn’t nearly 3am, I’d put on pants and go to the store right now. Thanks for the tip, Rebecca! So glad you reviewed this. I was really curious but couldn’t make myself take the plunge. 😛 Seems a little gimmicky, sadly. Yeah, I agree – definitely gimmicky. Not that a gimmick isn’t fun every now and then, but you’re probably better off trying something more worthwhile! This post was hilarious. I’m both disappointed and relieved it doesn’t smell like cheese. LOL!!! That’s really too bad it made you break out. I guessed they’d fragrance it like a typical moisturizer, but no smell huh? I wonder if it has active cultures or enzymes in it–I want to know how the fermentation process continues! This seems interesting. If I wasn’t worried about also breaking out I would try it. Huh, I really thought it would smell somewhat like cream cheese or vanilla. While it’s a good thing that it doesn’t smell terrible, it’s also kind of disappointing. The appearance is definitely interesting. Too bad it made you break out though, I probably won’t be trying it then. It seems like it doesn’t have very many benefits as well. Yeah, the appearance and the texture were great. I was also disappointed by the lack of benefits – but at least I know I’m not missing out on much by not being able to use it. You’re welcome, Meishenme! I’m so glad you enjoyed it! I love you SFM because we basically have the exact same thought process when it comes to trying new products lol. “Does it belong in a witch’s brew? Ok then yes, gimme that eye of newt essence”. LOL @ “Does it belong in a witches brew?” I would try an eye of newt essence in a heartbeat! It’s so weird how cheese is somehow less appealing than snails when it comes to a face cream, but I agree – it really is! The whole time reading this I was thinking of the Cheese Touch from Diary of a Wimpy Kid. You’ve got the cheese touch Kerry! But interesting review. The Koreans come up with the craziest ideas. The words cheese breath were actually the one who bring me up here, haha it’s really unique X3 The cream it self kind of remind me with cream cheese? Super delicious haha. Though this cream still interest me to try out for the night time cream 🙂 thanks for reviewing ! How do you feel about parabens in beauty products. 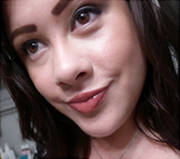 I usually try to stay away from them but I was curious to what you think about having them in products that you use. Ahhh yes, Quark! I actually never, ever thought of it as cheese. It’s more like yogurt, IMO. I lived in Germany a couple years and they pretty much use it like yogurt. They sell it in little disposable yogurt containers with some fruit and jam inside, just like yogurt. They use it in recipes for desserts, too. When I ate it, I thought it pretty much tasted like yogurt. I’m kind of confused that it can be a cheese, actually!! Wikipedia has pictures of “German Quark” that looks all crumbly like feta cheese, but I’ve never seen it like that in Germany before. So weird! Perhaps I just never came across it. But there’s definitely Quark that’s pretty much just like yogurt, but thicker. Thanks for the review, though, it was fascinating! I saw that cheese on RRS and was grossed out by the thought, but knowing it was just Quark now, it doesn’t seem like that big of a deal. I love Quark, it’s delicious! 😀 And not smelly at all! Sabine, I have to ask because I’ve wondered since I did this post – is Quark more of a savory food or a sweet food? Is it something you would eat with honey and/or fruit, or is more like something you’d dip a cracker in?